His design is amazing, probably the most badass of all. His bounty of Beli 1,057,000,000(the highest bounty in the story so far) proves that the World Government views him as extremely dangerous. Even Capone Bege of the infamous Worst Generation considers him a monstrous threat. 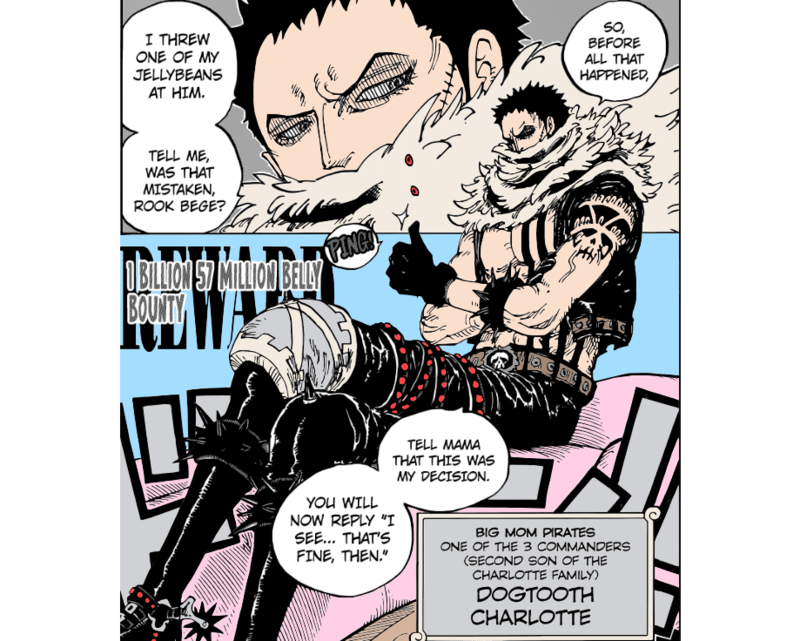 According to his crewmates, he is the strongest of the Three Sweet Commanders. He’s not only strong and smokes two cigars at once no matter the conditions of his surrounds, he’s also exceptionally badass and manages to be so in everything he does. Father of the Future Pirate King, son of the Hero Marine. The most dangerous man alive. The most enigmatic man alive. Hinted to be the most powerful character! He’s the leader of the Revolutionary Army, which is destined to overthrow the corrupted World Government. Silvers Rayleigh was the “Right Hand of the Pirate King Gol D. Roger”. His entry at the auction house at Sabaody was just epic. Due to his phenomenal strength, he was able to fight Admiral Kizaru equally. He combines humor and toughness incredibly. He has the ability to be a natural leader (everyone he meets follows him or roots for him), he always fights the toughest enemies and those are always the most epic fights. The perfect combination of toughness, ruthlessness, compassion, realism and strong will. Zoro wants to protect his captain’s dream as much as he wants his dream as a swordsman come true. Going so far to be willing to sacrifice himself and his own pride. Mihawk is the strongest swordsman of all time. In the past he was a rival to Shanks, when Shanks still got both arms! An throughout all of One Piece series he didn’t get hurt even once! First of all, he’s the one to inspire Luffy to be a pirate! Second he’s a Yonko (one of the 4 most powerful pirates in the World) but most of all he ended the Battle of Marineford by just showing up! One hand only.. no Devil Fruit power… insane Haki power… respected and feared by everyone. Shanks is an absolute boss. 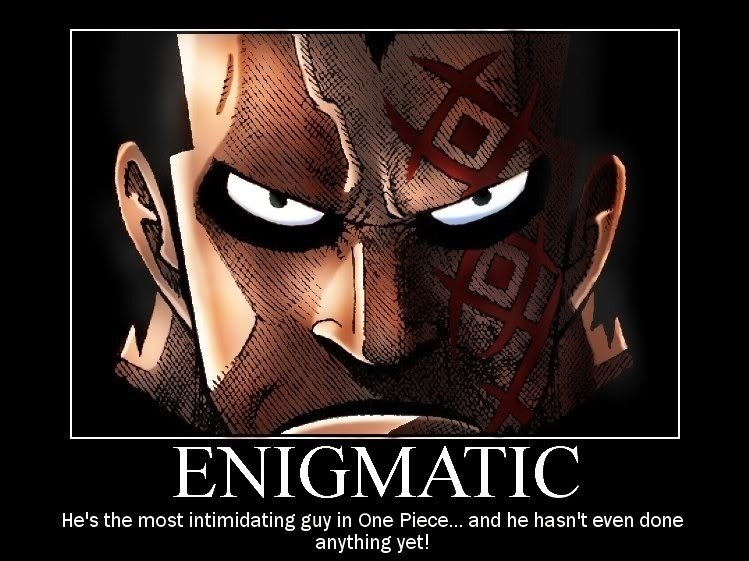 This guy had the power to destroy the world, he was hinted to be the strongest pirate after Gol D. Roger and the only one who could rival with him. He went to war against the Marine’s Headquarters being 72 years old and died standing after being stabbed 267 times, shot 562 times and hit with 46 cannonballs, losing half of his head and all this without taking in regard the injuries he accumulated over the years and that he was quite ill. That is how Badass he was! !